Dutch summer in the city means finding places to cool down, have a drink and maybe even a swim. Because there is no way that you want to cram yourself in a train or car to the seaside, as everyone else has come up with that plan. 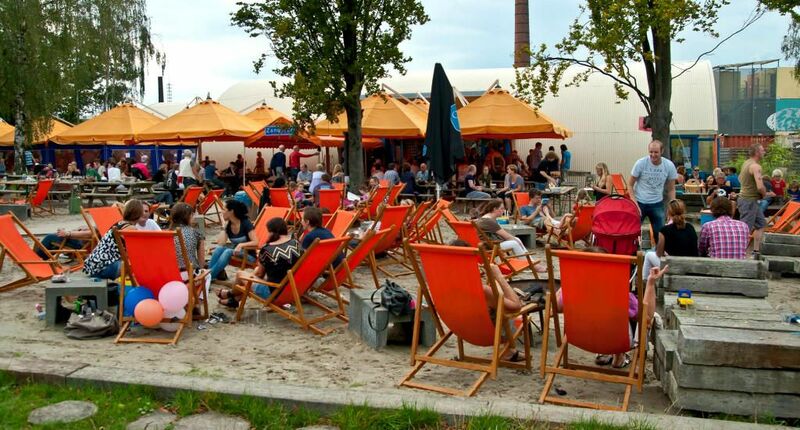 Luckily, we now have some pretty cool and hip city beaches in The Netherlands. 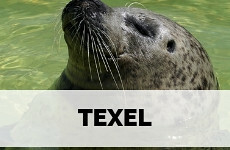 I am listing my top 5 favourite Dutch city beaches. The coast line of The Netherlands is truly stunning and I can’t get over the fact how different the beaches in the north of The Netherlands are, from the ones in the south of the country. But since I live in Utrecht, not so close to the coast, I have come to appreciate city beaches a lot. They’re often just less than a 20 minute bike ride away and the combination of putting your feet in the sand, listening to some relaxed tunes, with a nice bar (ah, white wine for me please!) within reach makes me think ‘who needs Ibiza’ on a warm Dutch summer day. When I was thinking about city beaches in The Netherlands, the city beach here in Utrecht immediately sprang to mind, as it’s been around for ages. I can remember the beach club opening when husband and I just started going out, and well, that’s been awhile. Anyway, about Strand Oog in Al (or Soia, as the hip folk call it). 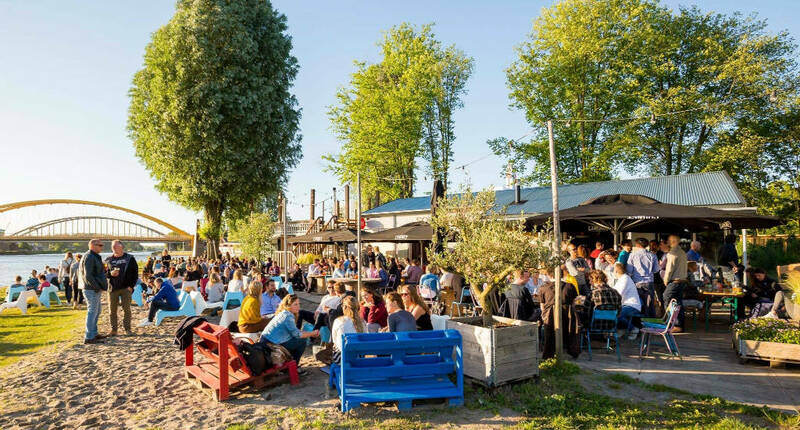 You’ll find the city beach on the most northern tip of the Oog in Al neighbourhood where Amsterdam-Rijnkanaal and Merwedekanaal meet. You can simply relax in the sand by the water, whilst enjoying a wee drink, or join a yoga class or see a movie. Now, I don’t go to Amsterdam that often. But when I do, I’d like to visit Pllek at NDSM island. The island used to be an industrial area with shipyards but is now a gentrified hotspot. 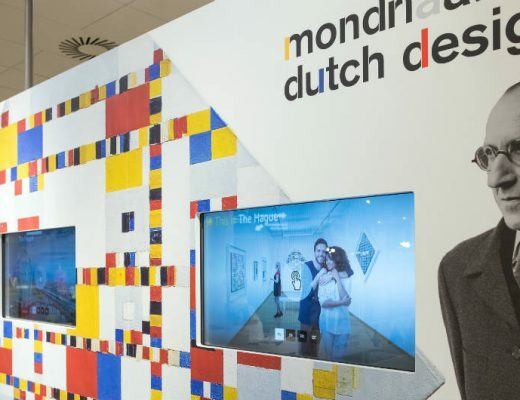 You can get there by taking the free ferry from Amsterdam central station. The ferry to NDSM island runs every 20 minutes or so. Pllek is possibly my favourite restaurant, as it’s built completely from old sea containers, which really matches the spirit of the island. 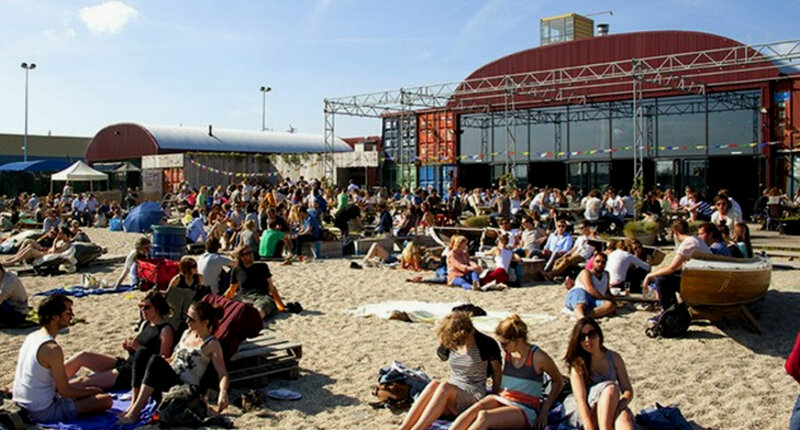 Plus, the beach in front of the restaurant is probably the best place to watch the Amsterdam skyline. 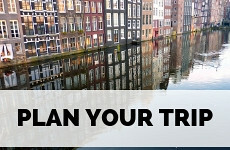 Planning a summer trip to Amsterdam? 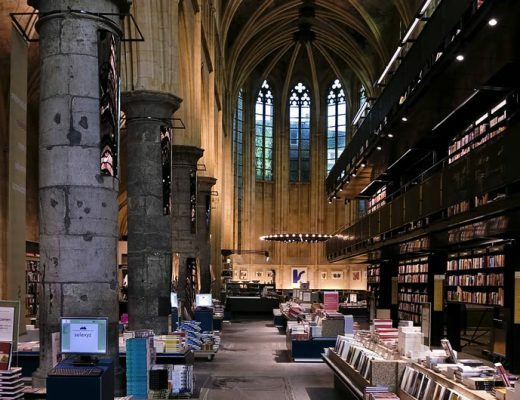 My ultimate Alternative guide to Amsterdam will help you out. 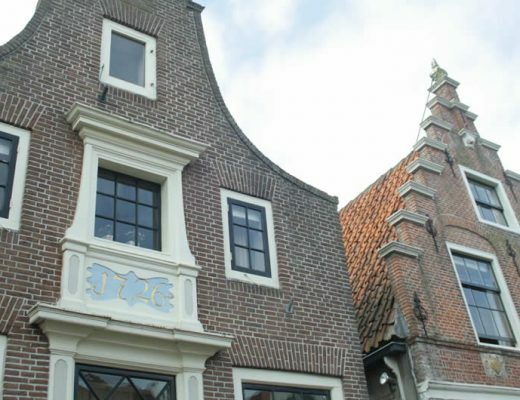 Amersfoort is a beautiful, often overlooked, city in The Netherlands and worth a visit, especially when the weather is nice as you can cool off in the hip, rejuvenated neighbourhood De Nieuwe Stad. 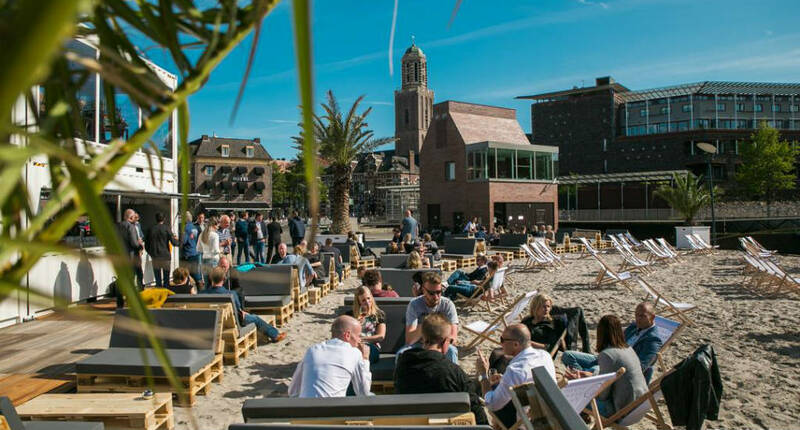 The city beach is located along the river Eem and has been baptized Zandfoort aan de Eem, as a parody on popular Dutch beach resort Zandvoort aan Zee. It’s a fairly relaxed place where locals come to have a chat and simply hang out, but there also the possibility of salsa dancing. 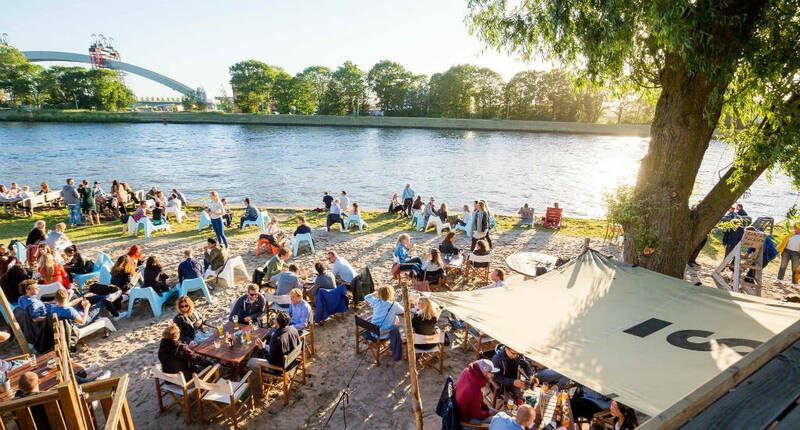 Groningen’s city beach is located just outside the city centre, at Vrydemalaan, and can be recognised by the UFO shaped DOT restaurant where you can sit outside and watch the world go by or buy a refreshing drink. 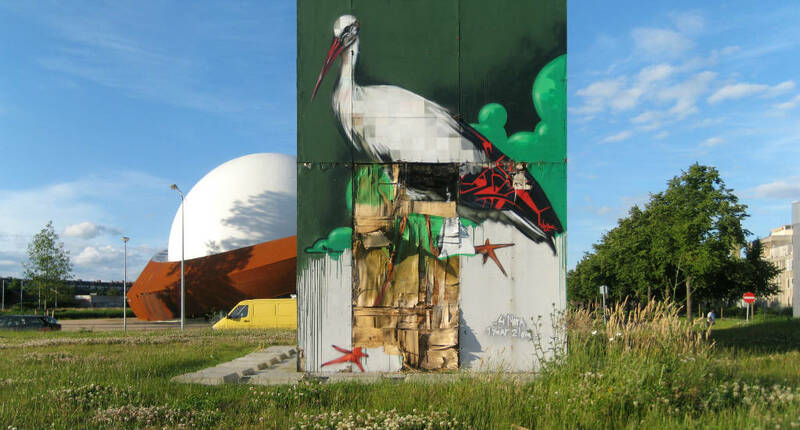 This spot was also the location for the first street art festival in Groningen, so if you’d like to see some interesting works (mostly on old sea containers), this is the place to be. Zwolle is a very pretty city in the east of The Netherlands and worth the visit any time of year, but the city beach, at the edge of the pretty city centre is reason enough to hop on a train. 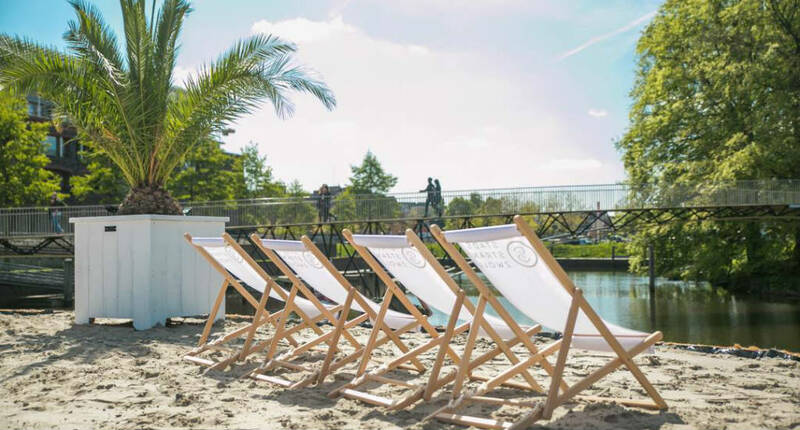 The city beach (Stadsstrand Zwolle) is located in such a pretty spot, right along the canal around the centre, with amazing views, yet a little secluded. Go there for drinks, lunch or dinner, as there is an extensive menu. But you can also sign up for yoga or SUP classes. 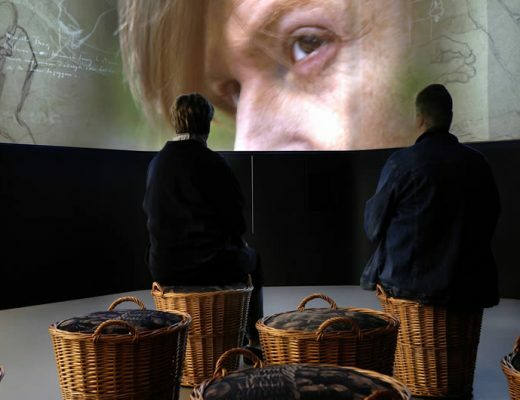 Read my city guide Zwolle to plan your trip. So, where do you cool off on a warm day in the city? I absolutely love Amsterdam and always have fun when I visit. I had never thought about visiting a beach though! 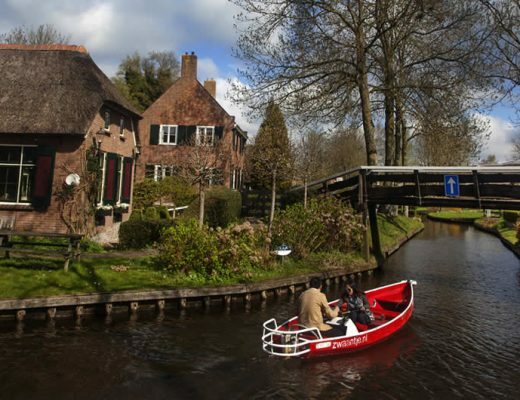 This list is great, there are so many beautiful spots in the Netherlands to enjoy the sun. 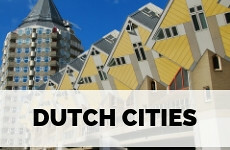 Just like the previous comments, I never would have associated city beaches with the Netherlands. It’s always been about the tulips, canals and Amsterdam. We visited during late November and I have always wanted to return during warmer weather. This is a handy list to keep in mind when we make it there. We live in San Diego so our idea of a beach is completely different here. Love those restaurants in old sea containers. We have a pretty long coastline and we also have beautiful ‘normal’ beaches in The Netherlands. Though I like the city beaches as one can simply hop on a bike to cool down. 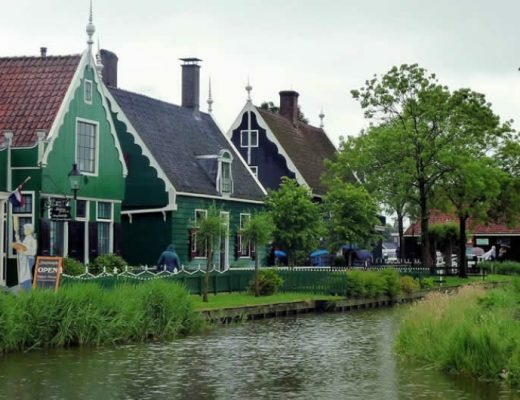 I have started this website because I feel foreigners really need to see how beautiful The Netherlands are and that there is just so (SO) much more to this small country than just Amsterdam and the windmills, which are pretty much open air museums to me. Anyway, thank you so much for stopping by!! 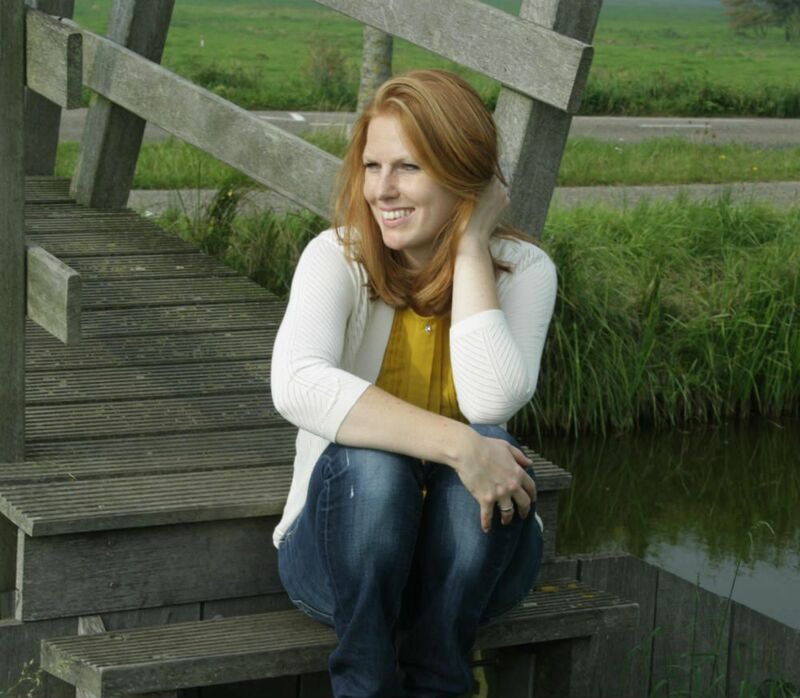 I love Amsterdam and always have a dream to visit. I had never been there! 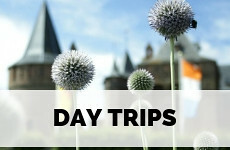 This list is Awesome and there are so many beautiful spots in the Netherlands to enjoy the sun.